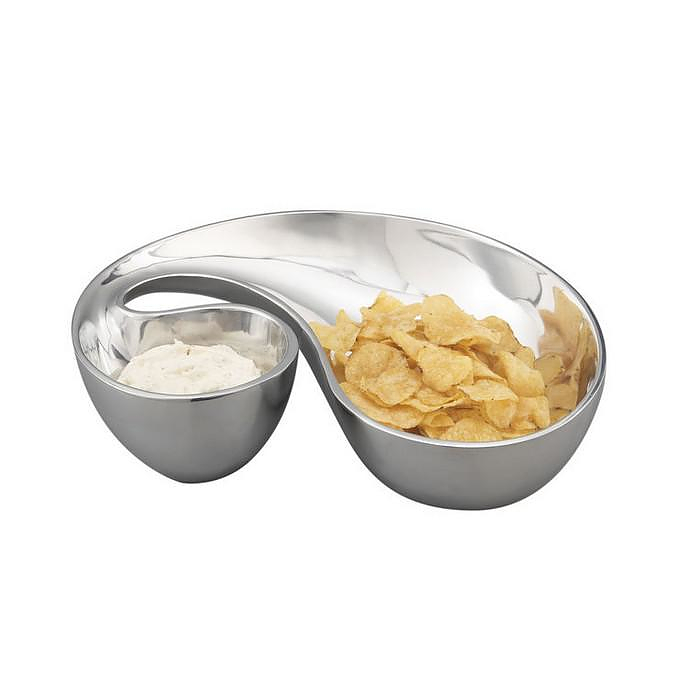 HomeBlogHome DecorMorphik Tableware by Karim Rashid for Nambe. 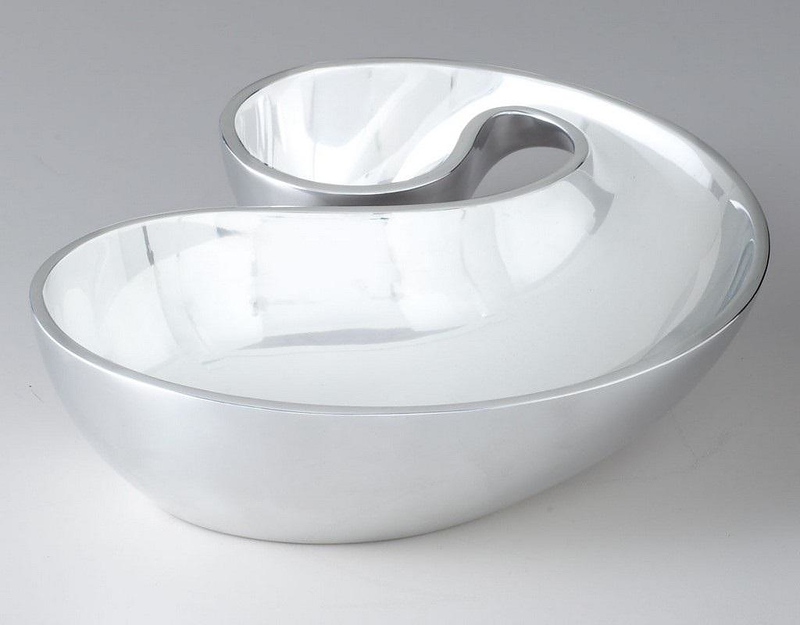 Nambe is a prestigious American tableware company based in Santa Fe, New Mexico, which manufactures handcrafted tableware since 1951. 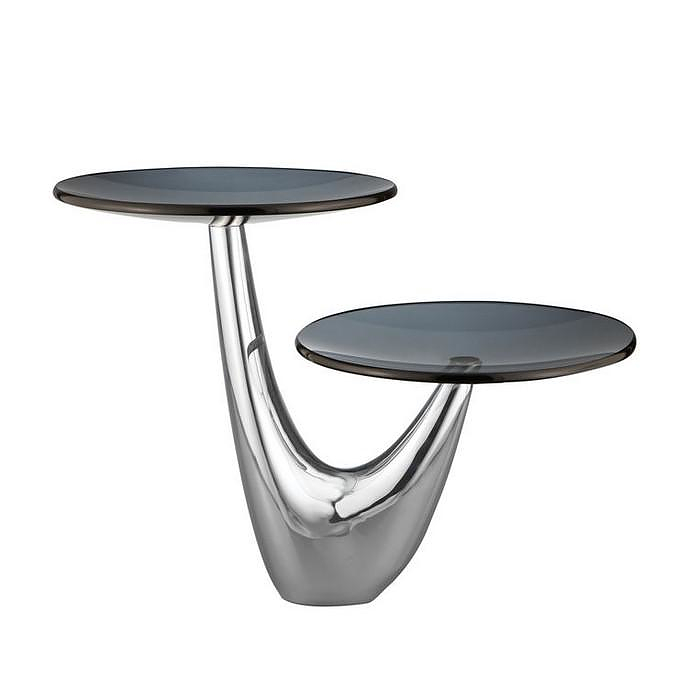 Nambe collaborates with many recognized designers, among others with design superstar Karim Rashid. 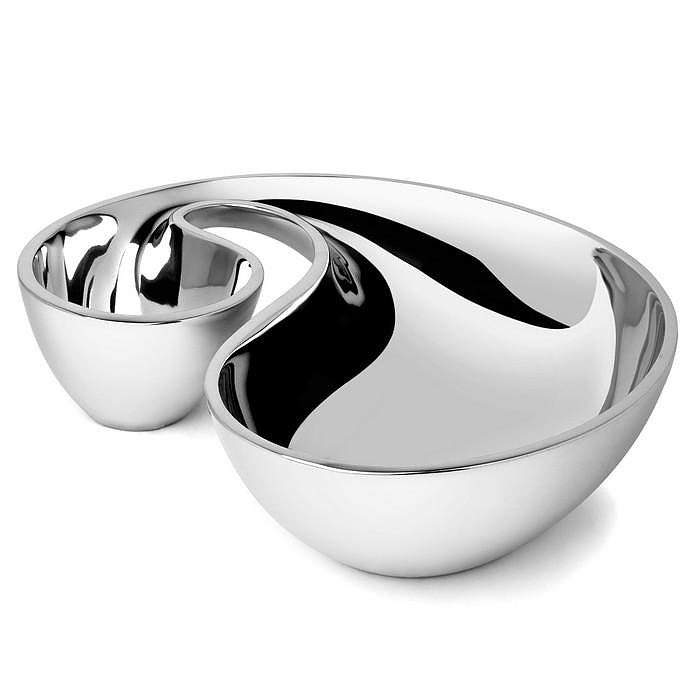 The results of their collaboration with Karim Rashid are very interesting and spawn over many of their collections, yet the Morphik tableware collection is one of the most inspiring examples of Karim’s work for Nambe. 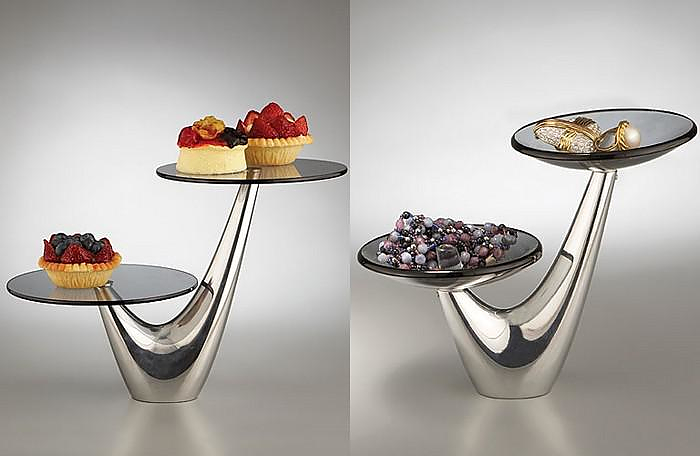 The collection features four unique pieces, the three of them designed by Karim Rashid. 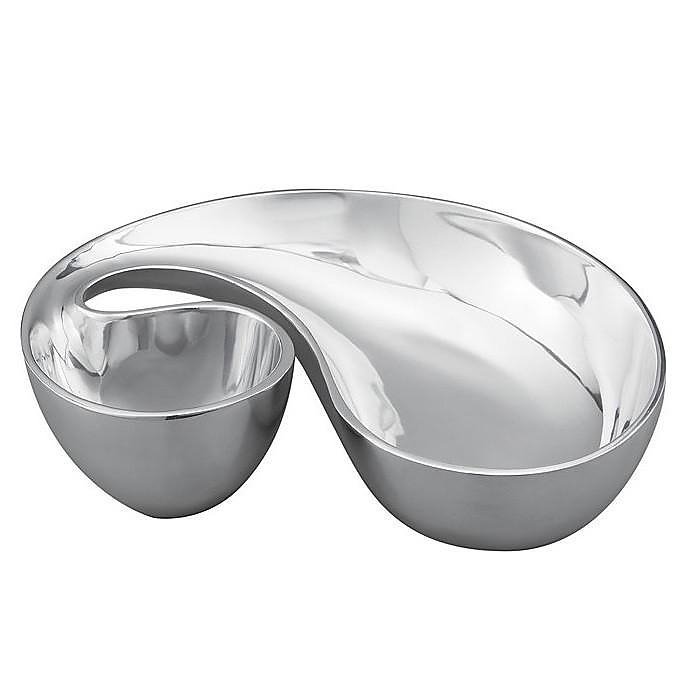 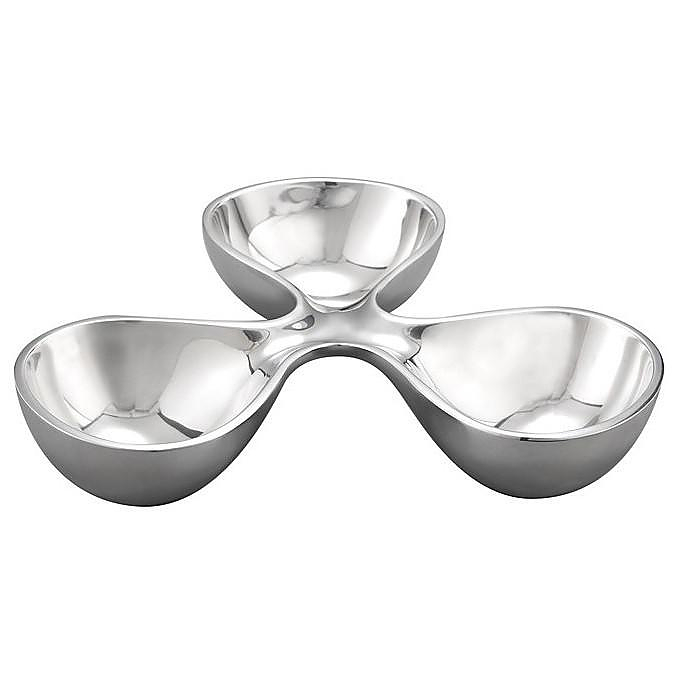 The characteristic curved and flowing lines the designer is known for merge magnificently with the silver finished material and the result are splendid organic bowls that look like liquid mercury drops. 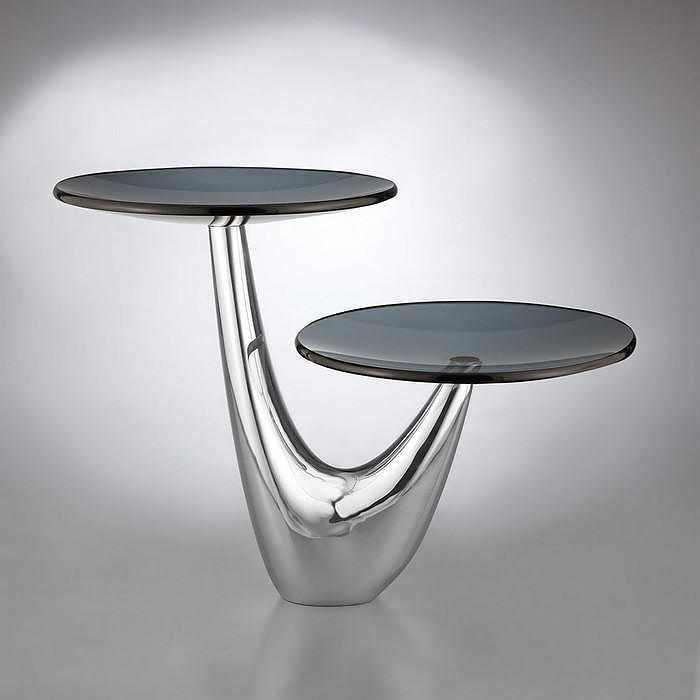 An impressive modern design for any table! 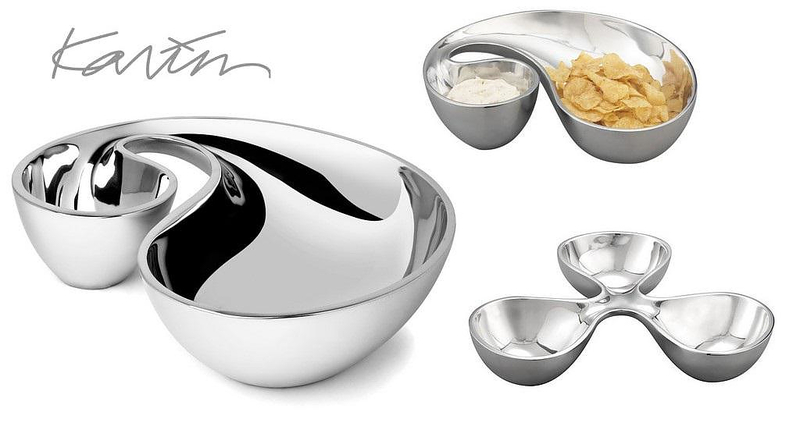 The Morphik tableware collection also includes an elegant cake server designed by Todd Myers. 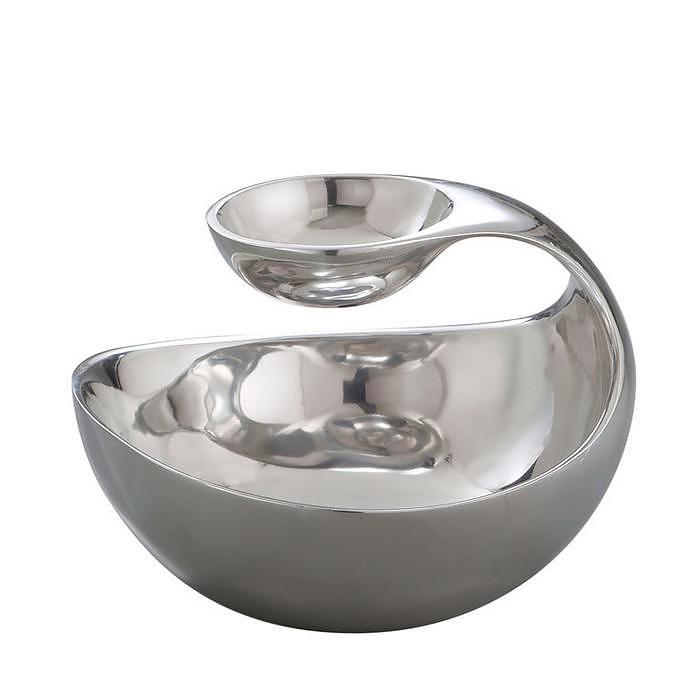 Note that the dip bowl in the last picture is not part of the Morphik collection it is a Nambe piece designed by Wei Young, yet we couldn’t resist including it in the photo gallery, as it is a perfect match with the Morphik pieces.